You don't need a special occasion to get your bounce on. 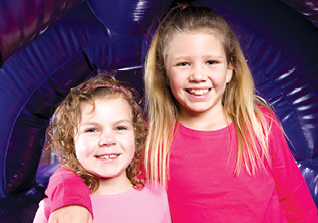 Give us a call and reserve your spot at our next All-Ages Open Bounce, then come on by and enjoy our 10 awesome inflatables, fantastic games, and wall-to-wall fun. You bring the socks - we'll take care of music, games, and everything else! 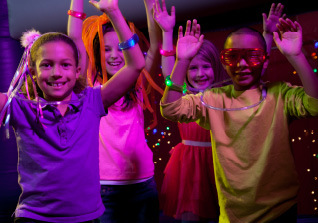 Looking for a safe, climate-controlled place for the kids to burn off some energy during the hot summer months? 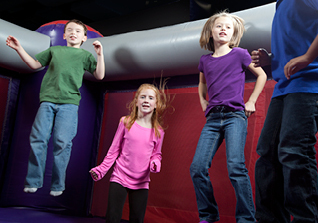 Check out our extended Summer Open Bounce hours! Beat the heat and join us this summer for some spectacular fun. 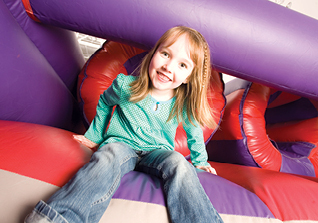 The endless excitement of our inflatables and games is a perfect way to keep the kids entertained all summer long! Dates: Every other Tuesday. Check our calendar for exact dates. Cost: $12.95 for bouncing. $4.95 for pizza and beverages. New Sessions start every 6 weeks. For children with ADHD. ASD, Sensory Processing and/or social skills difficulties. 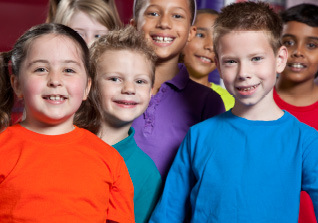 Includes Parent support group led by a Social Worker being held simultaneously to group. You will receive a receipt which is recognized by most insurance companies. Please check your insurance coverage regarding your policy's actual covered benefits. 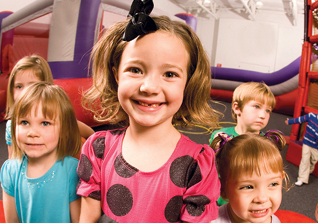 BounceU makes no guarantee or promise that this program will be covered by your individual insurance.